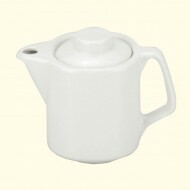 Large Catering Teapot Aluminium 4.5 litre/8 p.. Stainless Steel Stackable Teapot 1.5 litre/48.. Stainless Steel Superior Coffee Pot 1 litre/3.. Stainless Steel Superior Teapot 1.5 litre/48o.. Stainless Steel Superior Teapot 1 litre/32oz..
1.5 litre/48oz Stainless Steel Tea Pot with s..
1.0 litre/32oz Stainless Steel Tea Pot with s..